My oldest niece turns 16 this year. Which means she'll be driving. And while she would prefer I just gave her my car as a present (not likely), I have been thinking about good ideas for gifts for a new driver. It's a big deal to turn 16 and get that driver's license, so I'd like to celebrate it big time. 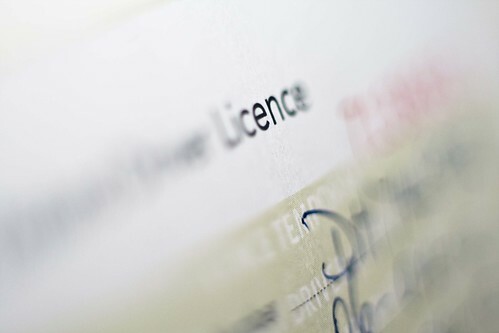 So just what makes a good gift for your teen driver? Obviously every child (and budget) is different, so I've collected several cool ideas that would work for various situations. All receiving an official stamp of approval from my niece, of course! in the lives of these young people. to make good choices as they navigate the roads they travel. Provide them with safe passage as they make each journey. they may encounter along the way. as they take this next step into maturity. Kit includes: one "Relax! I'll drive" travel mug, one tire gauge, one "no cell phone" drawstring bag, one indispensible flashlight, one fuzzy dice key chain, one instruction card. I tend to err on the practical side, so of course, the first thing I thought of was a key ring. Whee. It's not the most exciting thing, but there are tons out there that can express personality and keep your teen organized. 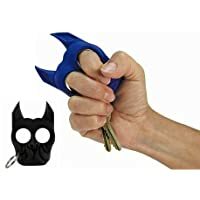 Or gives you some handy tools like a multi-tool key chain with a flashlight or this nifty self-defense model and more. Inside the wallet, consider placing a gas gift card. (Hint, hint, you should put gas in the car when you use it.) Make it a one-time gift or one you can recharge on a regular basis as an alternative to getting them a credit card. 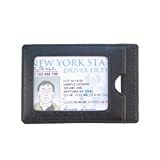 Pocket for driver's license on the outside let's them show it off and makes it easy to find. Get organized with this Magic Wallet . The wallet works like "magic" to store your belongings. Works similar to a Jacob's ladder. Yes, there are options to give a teen driver that aren't directly related to driving or a car. I ran across a few "no parking" signs, which you could hang in the garage or just give them for their room. 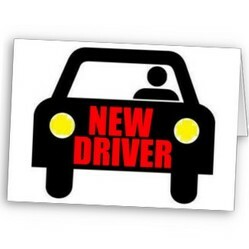 Get a personalized one (the one shown here is just $19.99 at Personal Creations) or just a funny new driver sign. Now, you might be giving your child a car. Or you might be letting them share use of the family car. But sooner or later, they will want their own. Which makes cash a great gift (as always) to put into their bank account (they do have one, don't they? ), but you could present it to them in a bank to use at home for saving money. Every penny counts whether it's for buying the car, decorating it or keeping it gassed up. Includes 1 camper in random color (comes in two colors). This colorful bank looks like a bug car. Measures 4.75 inches x 6 inches x 3.75 inches. Old beater or the family car, your teen is going to want to make the space their own as much as they can. Not to mention make it more useful with technology. Newer cars have auxiliary jacks and sockets built in, but it's possible to end up without any. Good options might be to set the car up with an iPod connector or change out the stereo to one with a jack so your teen can plug their own tunes in when they drive. (Road trip playlist, anyone?) And maybe an added benefit because it's more difficult to answer your phone while it's attached to the radio! If you're sharing a car, a CD case is another nice option. They can take their music with them when they go, but not leave it cluttering up the car when they return. Maybe add a new CD or two inside. I'm better these days about remembering to charge my phone, but I still carry a car charger with me just in case. Having a phone for emergencies doesn't help much when the battery's dead. Drives my husband batty. And if your teen is anything like mine, they're still learning the art of responsibility. One of my favorite things - and likely what my niece will be getting - are personalized car mats. You can get all kinds of accessories for inside the car - from Hello Kitty to butterflies to zebra - but these are a unique touch. The ones I found at Personal Creations (shown in the picture) are just $29.99 for a set and come with an initial and name. Oh - and to be ultimately practical, consider the kinds of things no car should be without - jumper cables and an emergency kit. Boring but absolutely critical. Unless you have a real gearhead on your hands, your child is probably more interested in how the car looks than how well it's running. Lauren and I have had several conversations about how she could dress up a car if she ends up with an ugly old beater. You could just start with a whole new paint job. We still have a lot of those places that will paint your car for just $99, and that might be a good enough paint job to last for as long as your teen has the car. If they're creative, maybe they could even add in a few painted details on their own to dress it up. 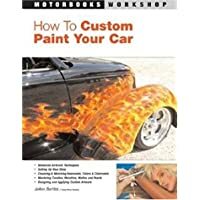 (There are tons of books on how to paint your car. The assumption here is that this isn't the car they will keep forever and coloring on it doesn't hurt its value. If you want to play it a little safe or go beyond a solid color, consider car decals. They're a somewhat permanent solution - you can't move them around like clings - but can add a touch of personality to the car. I recently did stars in a few colors, but the options are almost limitless. Or think about the license plate area. Get a frame (noting what the law in your state says about how much of the plate can be covered) or even spring for a personalized license plate. If you live in a state where you only need one license plate, find a plate to go on the front that fits with their style. Yep - a car would be the ultimate gift. And between Craigslist and eBay, it's even easier to find one that suits your needs. In both case, searching is easy and you will get options from private parties as well as dealers. Consider how long you expect to be using this car - just through high school or all the way through college? What kinds of things does your teen need to be doing with the car - do they need space to haul stuff? And don't forget when you poke around on Craigslist to check out cities around your area. The perfect car could be one town over. eBay Motors allows you to search on all kinds of parameters, including distance from you. I love that you can tell it you want to look for a hybrid or so many miles or a specific color. Decide what's most important to you and search from there. What was your favorite gift as a new driver? I think I will include a pair of gloves as a gift for my new ten driver. Great article. But always remind your teen about the proper and responsible driving. My oldest is about to get her temps, I will certainly get her a few of these great gift ideas for first time drivers before, during the learning process and after as a celebratory gift. Love your drivers gift ideas.